To the south of Sydney on the far New South Wales South Coast, the region has spectacular mountain ranges, gorgeous ocean views, whale watching and is both a coastal beach paradise as well as a lush rural area, with plenty of sea and wildlife. Bermagui NSW, surrounded by beautiful scenery, wetlands and lush hinterlands, has the National Parks of Biamanga, Gulaga and Montague Island Nature Reserve nearby, as well as Wallaga Lake. There are plenty of sheltered as well as surf beaches on the coast, while the town itself is known for its deep sea game fishing, cruises and recently for being the filming location of Billy Connolly’s movie The Man Who Sued God. Cobargo, just north of Bega on the Princes Highway and Quaama are known for its arts and crafts and are historic townships with buildings from the turn of the century. Not far and to the west of Cobargo is Wadbilliga National Park with more than 98,000 hectares of parkland, a mountainous wilderness surrounding a pristine river catchment. Camping and picnic facilities are available. Famed for its cheeses and dairy produce, the Bega Valley area also grows wines and is known for its Chardonnays. Visit the Bega Heritage Centre for the history of cheese making and local history, or the Family Museum for colonial family history. There are a number of arts and crafts galleries in Bega to explore, having a look is always fun. Biamanga National Park, with some 13,000 hectares and the much larger South East Forest National Parks with over 115,000 hectares of lush rainforests and mountains, are well worth visiting. There are a number of significant aboriginal sites at Biamanga. South East Forest has towering old growth forests with scenic drives, the Myanba Gorge has a lookout over the Towamba Valley and there is horse riding and swimming. Both picnic areas and car based camping is available. A beautiful park situated along the coast on the Tathra Bermagui Road is the Mimosa Rocks National Park. Great walks, surfing, fishing, and lots of birdlife. There is backpack camping available at Middle Beach. Tathra Beach itself is set in the parks natural surrounds on the coast, there are fur seals and fairy penguins to see, visiting from their protected habitat on Montague Island. Diving is renowned here as is the fishing, parklands and beaches. Great surf, swimming and sailboarding. 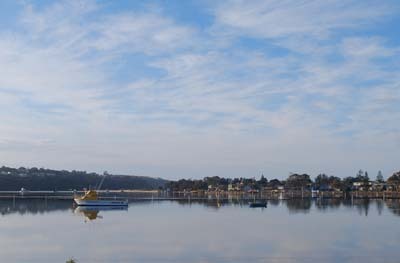 Merimbula also has charter boats for deep sea fishing and cruising or diving. The town is surrounded by lakes, ocean and bushland, and the surrounding area is home to native animals and flora. Merimbula has a number of excellent restaurants with fresh seafood and other local produce and lots of good eateries to try. There are camping facilities in nearby Bournda National Park, with good swimming, fishing and kayaking. 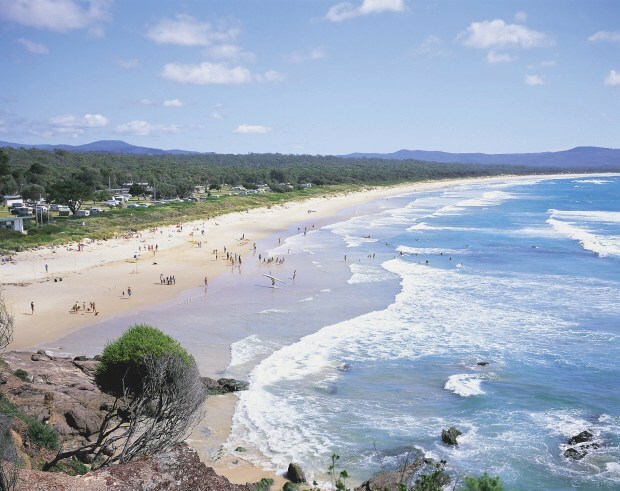 The township of Pambula Beach in New South Wales is a historic village next to Merimbula Lakes and the waters of Pambula, set in between the two sections of the Ben Boyd National Park. Go horseriding in the wetlands, spot wildlife including kangaroos, explore the river with a cruise or check out the country markets. Pambula Beach is just to the east of the town. Eden, aptly named for its lovely and spectacular wilderness surroundings. Twofold Bay is a wonderful place to visit during the months of September and November for whale watching, it has historical significance as a whaling station in the 19th Century. The Eden Killer Whale Museum, the Sea Horse Inn, Boyd’s Tower, the ghost town of Boydtown and the Greencape Lighthouse all have their stories to tell. More about the Killer Whale Museum at Eden, NSW. Charter fishing, available at places like Bermagui or play golf at the various golf courses set in beautiful surroundings. You can also take a tour with a National Parks guide in one the many spectacular coastal parks or take a cruise around Montague Island, a protected reserve for seals and penguins. There is a good range of accommodation with luxury resorts, hotels, historic inns, motels, bushland and seaside cabins, caravan parks and backpacker hostels. View Places to stay NSW. Camping grounds in the national parks is available and some have very well equipped caravan and camp sites. Bookings are essential. Phone +061 2 4423-2170 for more information. 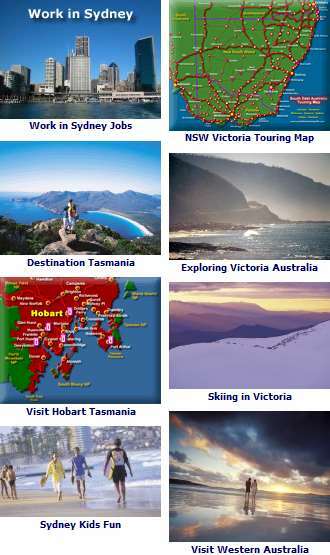 The map shows National Parks, towns and places of interest - See the South Coast Map NSW. To the West, the Southern Highlands - See Southern Highlands Map, NSW More about the Southern Highlands. To the South and just over the Victoria border- See Gippsland Map, Victoria. To the North - See Illawarra Wollongong Map, NSW. The map shows the South Coast region of NSW, as well as South Coast National Parks, towns and places of interest, including Ulladulla, Kiama, Nowra, Bomaderry, Goulburn, Batesman Bay and Braidwood regions. The tourism region around Canberra in the Australian Capital Territory and easily accessible from the South Coast is called Capital Country. Here you will find historic towns, wineries and stunning National Parks. Sapphire Coast Places to Visit. 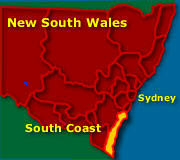 See South Coast region map South Coast Map NSW. NSW Region - South Coast NSW.